There is no doubt that these two cars are different in many ways. 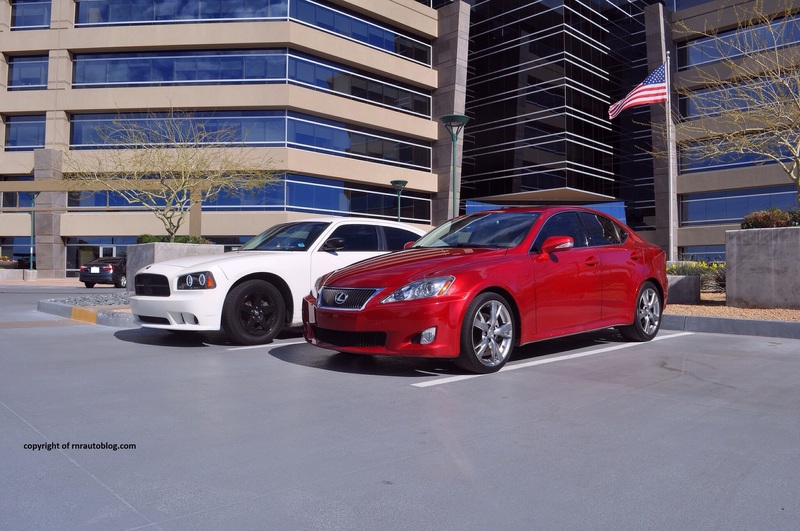 One is a compact luxury car, the other isn’t. 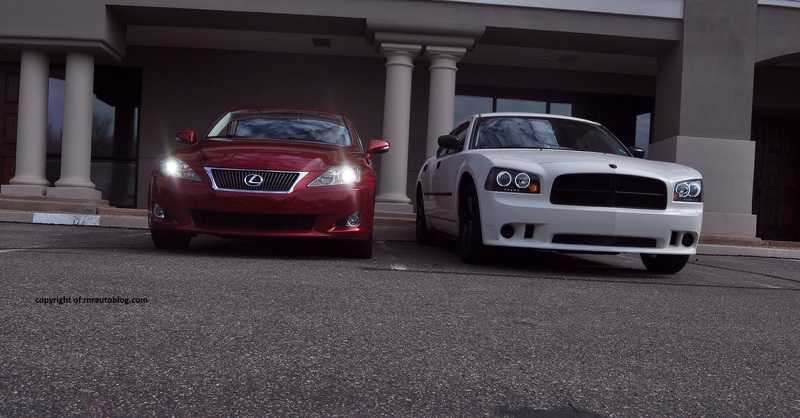 The Lexus is a fully loaded version whereas the Dodge is a basic rental car spec. 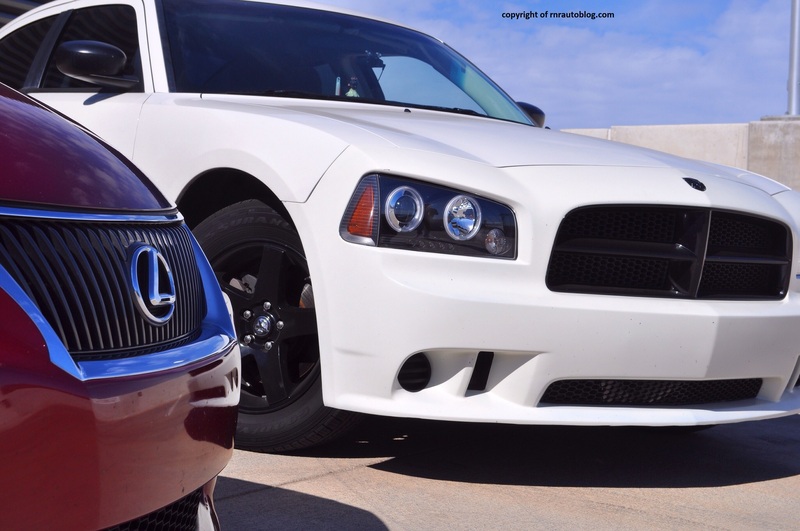 The Lexus IS250 is a direct competitor to the BMW 3 series (the 328i to be specific) and the Dodge Charger is a larger and more powerful alternative to the Dodge Avenger. Two different cars created for different clienteles. But what if you take away the price and luxury gap out of the equation? They are rear wheel drive and are powered by V6s. In my opinion, I am interested in finding out whether the more expensive Lexus is a better package than the Dodge under these circumstances. On the basis of styling and driving dynamics, which is the better car? Styling wise, both cars follow different paths. 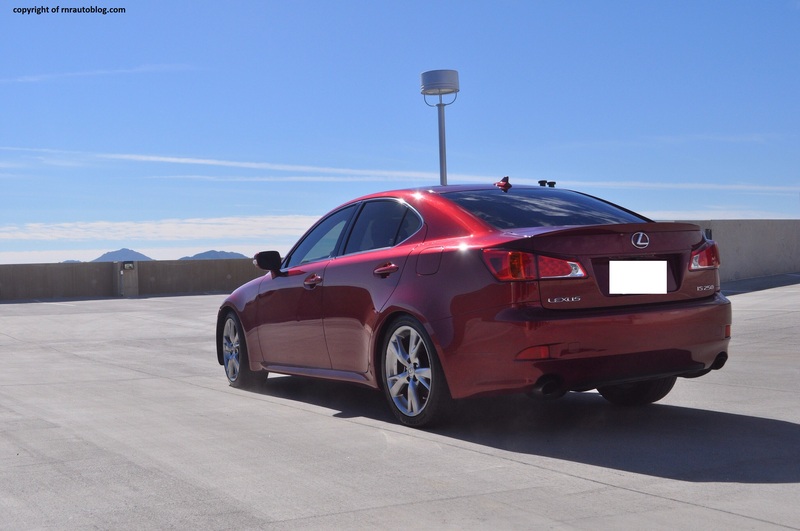 The Lexus is sleek and curvy. Flowing smooth lines and slinky roofline all contribute to a feminine appearance. The clean front fascia is augmented by sharp headlights and a nicely detailed grille as well as well defined lines on the hood. The subtle character line extends from the edge of the headlight to the taillight, creating a broad shoulder. 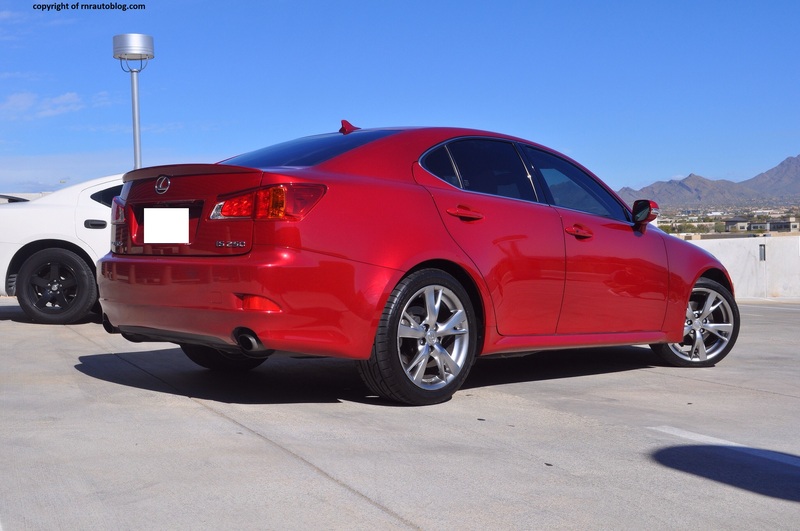 The rear is topped off with a lip spoiler, and the overall appearance is nicely rounded. The only demerit is the reflectors which disrupt the rear, and the taillights look cheap. The Dodge emphasizes its toughness with an aggressive stance and its blocky exterior. The upright grille and square headlights showcase a hostile appearance. In terms of execution it is much simpler than the Lexus. The side profile is characterized by a more prominent shoulder. The door handles and body moldings do not blend in well with the side view and the taillights are too bland and generic. The spoiler helps add some fizz to the ordinary rear. Both are attractive cars. It just boils down to your preference in terms of which is better looking. When it comes to the driving experience, both are completely different animals. 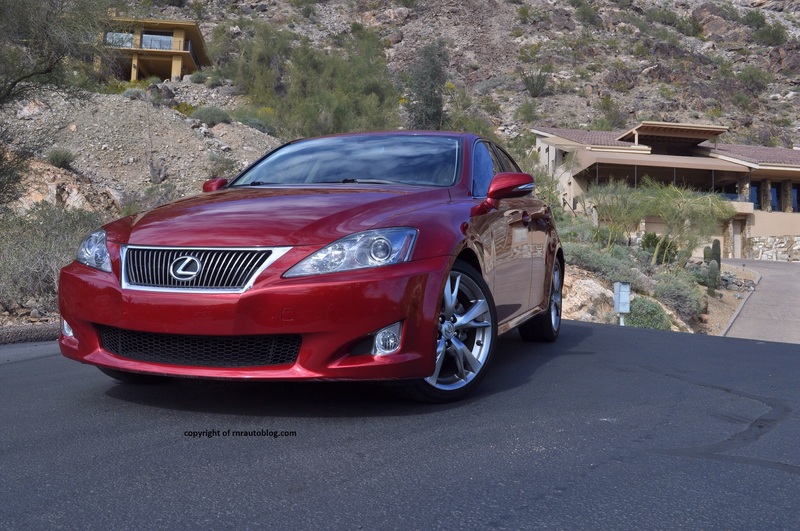 The IS250 feels much lighter and balanced. It is very composed on curvy and twisty roads, and it never falters in hasty driving. Turn the wheel, and response time is instant. Body control is impressive as well. By contrast, the Charger feels slow and heavy. When you turn the wheel, you have to wait for the car to respond, and this can have the effect of making the Charger feel ponderous. But get past the slow steering, and the Charger has decent agility. It does lean considerably in corners but it is controllable. 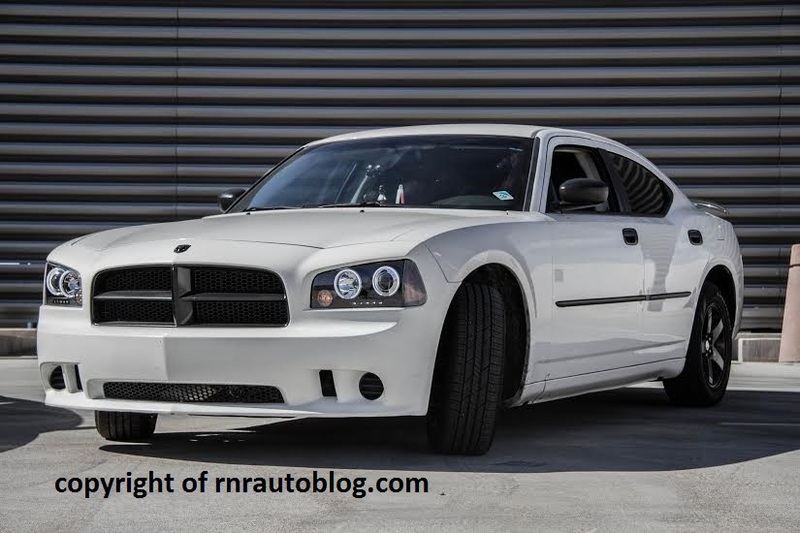 Keep in mind that this version comes with the 2.7 liter V6, a much lighter engine than the 3.5 or the Hemi V8s. It does not exactly have the tossable character the IS has but it is no slouch. The steering feels much more fluid and communicative. The IS’s weighting and feel come across as artificial. The buildup in weight over speed is not linear, and there are times when it feels darty due to the inconsistent weighting. The lack of road feel is a problem as you cannot tell what the front wheels are doing. It is also hampered by its overly intrusive stability control. It always cuts in too early which can reduce its handling abilities. The Charger does not have such technology. It does not even have traction control for that matter. As a result, it feels more uninhibited. You are able to carry more speed in the corners. It even allows for some drift action which is impossible in the IS. Braking in both is excellent. The Charger’s ride is more supple. The IS has virtually no wheel travel, so it is not surprising that it is stiff. Road imperfections permeate its cabin, and it does not feel as solid as it should be. The cabin is not devoid of rattling and shaking. Even on smooth roads, it is still unsettled as the body is unable to cope with surface changes. 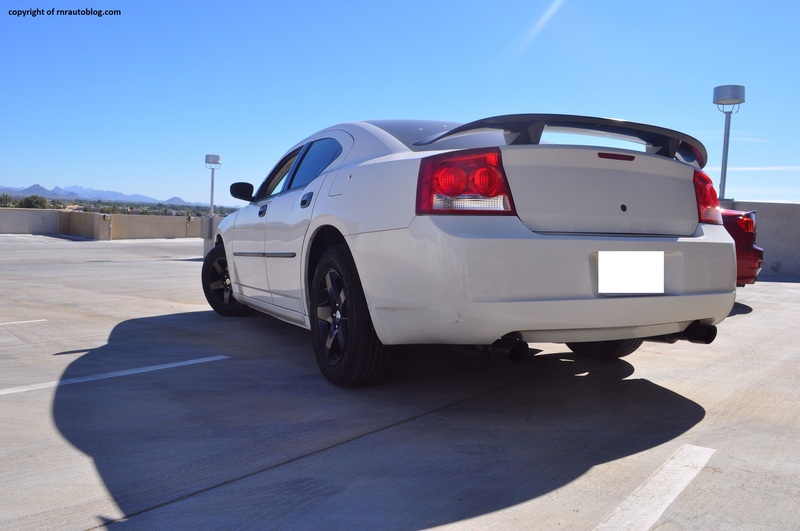 The Charger is taut and soaks up bumps with ease. Only on bad roads the bumps become more intrusive. With 2.7 and 2.5 liter V6 engines, acceleration times are similar with 0-60 in around seven seconds. The Dodge has the edge on power with 210 horsepower (In stock form, it has 190 horsepower). 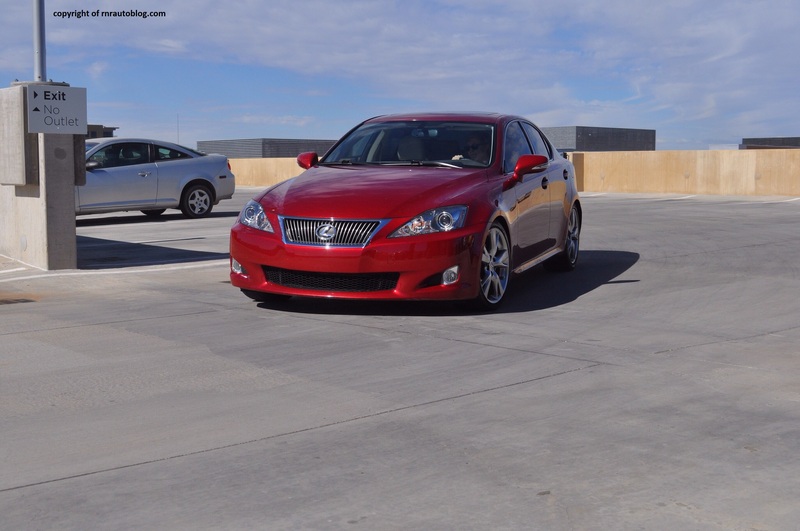 It is short on power as the V6 struggles pulling its mass. There are times when it feels strained, and you are left wanting for more power. In comparison, the IS is perky and willing. There is no hesitation, and it has decent pulling power. Both cars are automatic. 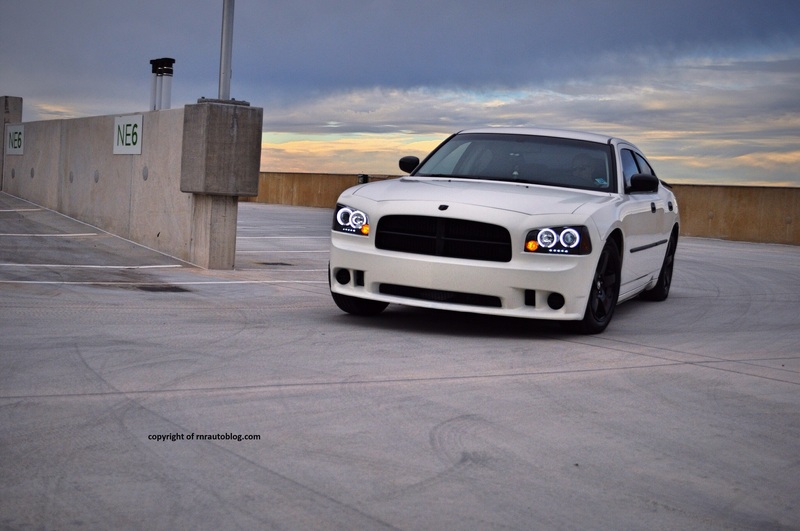 The Charger a five speed, and the IS a six speed. 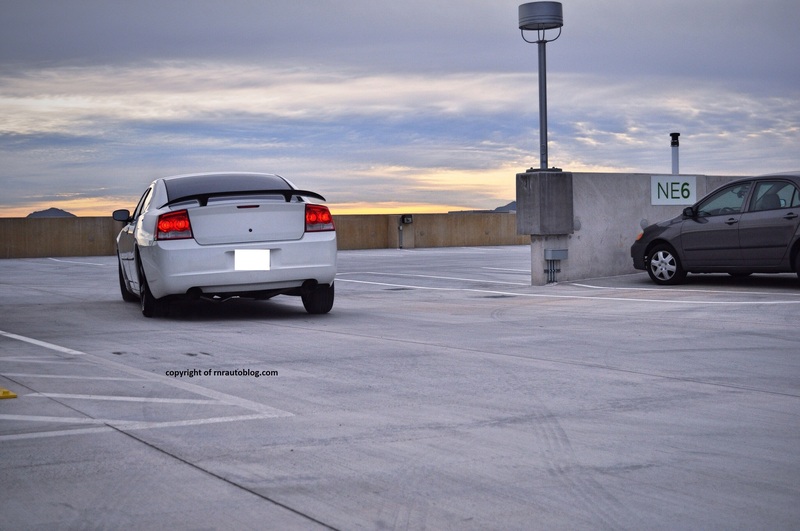 The Charger’s transmission can be slow to shift but it is prompt most of the time. The IS’s transmission is smooth and decisive. It features a manumatic and shift paddles which the Charger lacks. But the manumatic is poor as it is apparent the computer is always in control. If I shift to a specific gear, I expect it to stay in that gear. If I floor it in that specific gear, the computer upshifts thus rendering the whole function irrelevant. At least you can get a manual in the Lexus but good luck finding one as the manual had a 1% take rate. Both engines have their own tone. Initially, the engine in the Charger feels growly at low revs but then it transcends into a musical melody as you floor it. The IS’s V6 whirrs at low revs but it slowly becomes more harmonic past 5,000 rpm. The problem about the the engine note is that it only becomes harmonic towards the end. The point of this comparison was to analyze seemingly different cars can be similar in a number of ways. When you take the price gap and luxury aspect out of the picture, it is apparent how both of the cars have an identical philosophy albeit in different body. 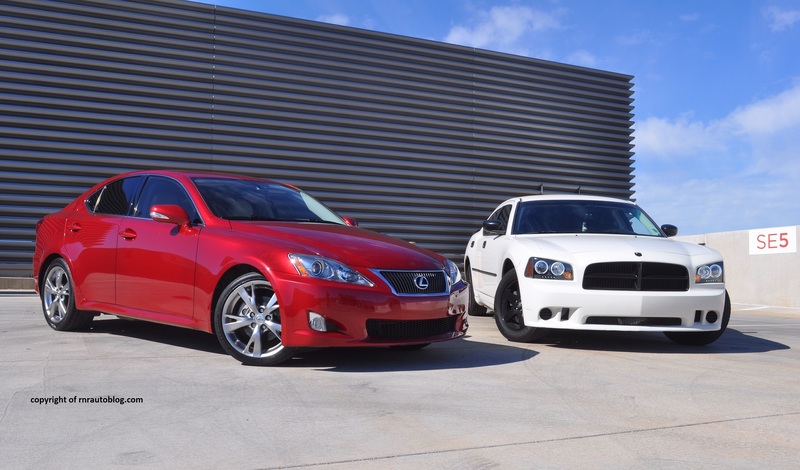 They are both attractive sedans in their own way. If you want a sporty and sleek design, go for the IS. If you want a butch and macho design, the Charger is the one for you. When it comes down to the driving experience, it is hard to decipher which is better. The IS has the edge when it comes to handling as it feels more buttoned down and sporty. But its vague and artificial steering lets it down. 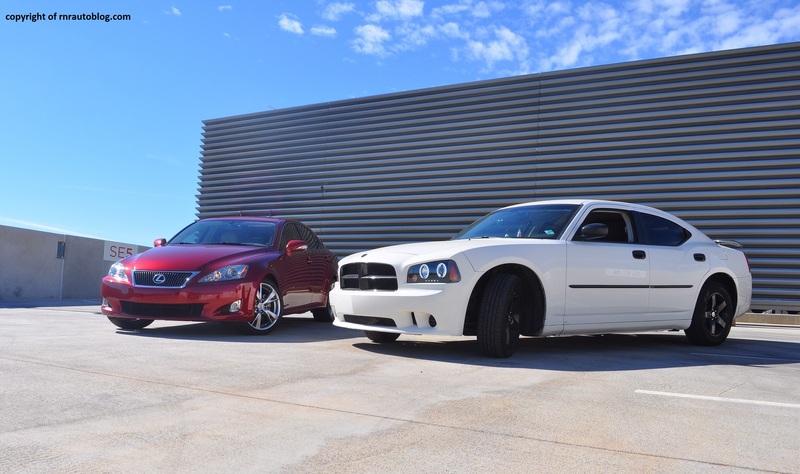 The Charger is more ungainly compared to the IS but it is still capable. Its steering is more communicative and organic. It does feel more tepid and languid when it comes to overall performance. The IS’s eager demeanor will appeal to those who prefer a more energetic powertrain. Long story short, it is really hard to pick between these two. It is just a matter of perspective.